The camposFG40 device allows you to read the data sent to A fiscal printer and display them in the image from CCTV cameras. 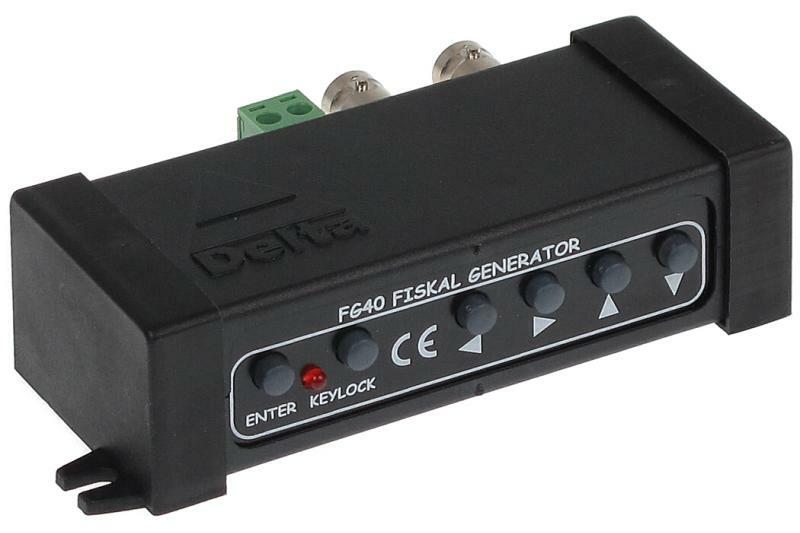 In the video signal the CAMPOSFG40 is a loop-through device with PAL video signal input and output. It permits displaying an image from a CCTV camera together with a list of registered products on a shop sales list of the fiscal printer. The device can be used as an extra protection at the point of sale. Receipts can be matched to the video display. In addition the CAMPOSFG40 can work in character terminal mode and display all character strings received from controlled device. An example can be displaying the weight, temperature, etc., from any sensor equipped with an RS-485 interface. The device can also display the cross on the screen, it means a vertical and horizontal line with set shade of gray and coordinates. The cross generator is useful in various manufacturing processes, where there is a need to control the position of the processed material. The CAMPOSFG40 also has the ability to display any scrolling vertical or horizontal text (Scrolling Text), saved in non-volatile memory inside the device. The text displayed on the camera image can be presented as commercial promotion or hotel information. The FG4 text insertor device links point of sale terminals (POS) with CCTV cameras to produce a continuous overlay of transactions superimposed on video output. For the video signal, the text insertor acts as a looping device, with PAL input and PAL output. The text inserter provides the ability to add the Cash Register/POS data to the video screen.